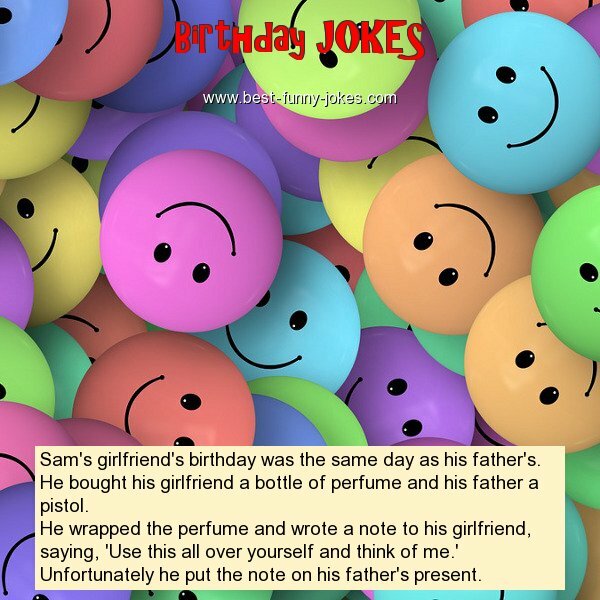 Sam's girlfriend's birthday was the same day as his father's. He wrapped the perfume and wrote a note to his girlfriend, saying, 'Use this all over yourself and think of me.' Unfortunately he put the note on his father's present.